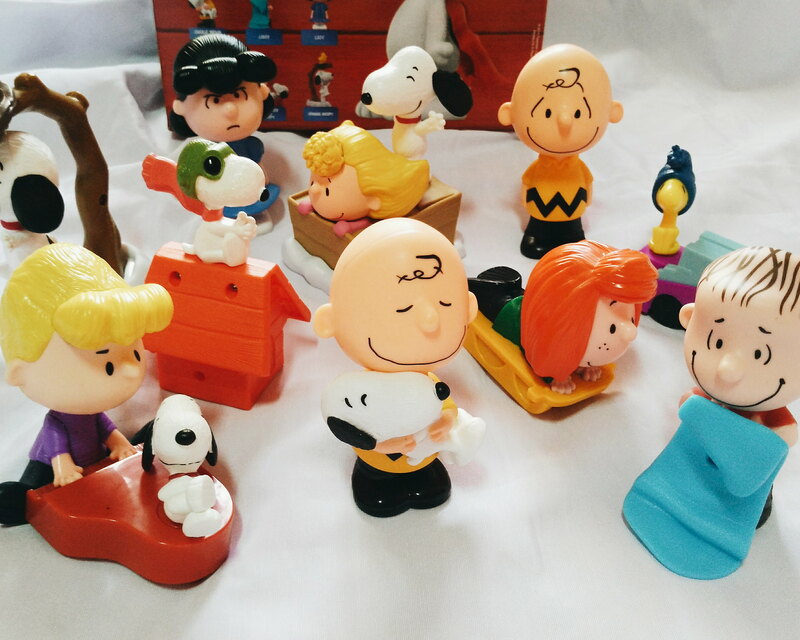 Snoopy, Charlie Brown and the whole Peanuts Gang in every McDonald's Happy Meal! It is always a delight to receive and unbox a #bloggermail. McDonald's makes sure that there is happiness in every "happy meal" they sent at home (remember the Minions package?) I am never a toy collector but unboxing and unwrapping each toy give a different excitement. 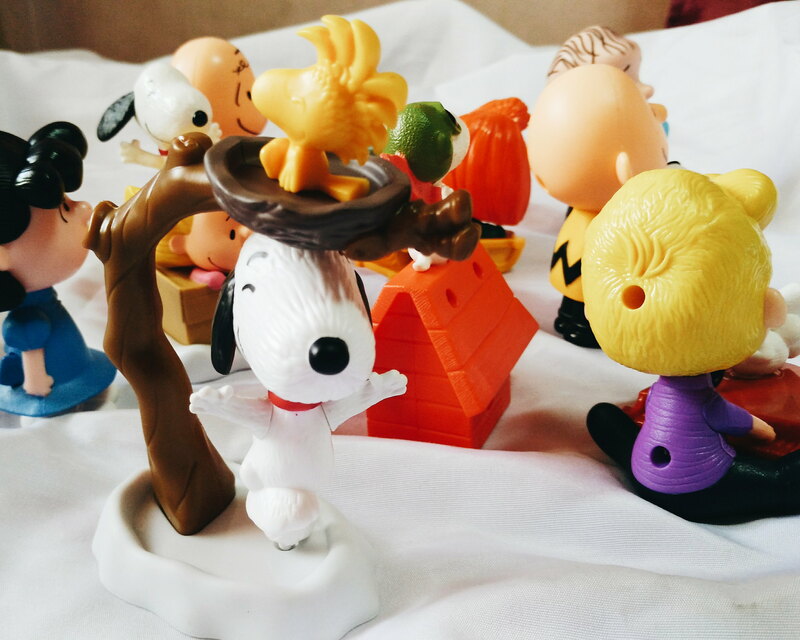 Perfectly timed with the release of the trailer of the movie "Snoopy", McDonald's will surprise you with every happy meal to bring home Snoopy, Charlie Brown and the whole gang. 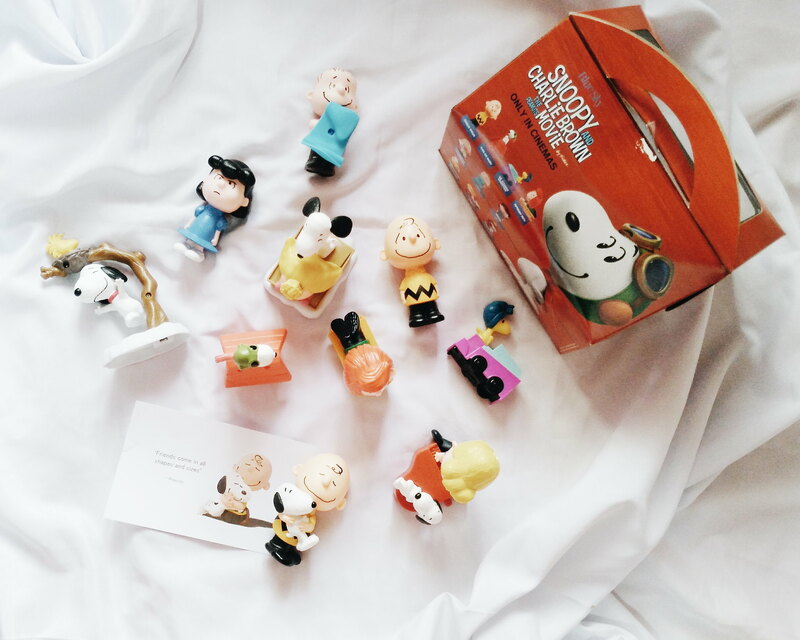 The Snoopy Happy Meal package comes with the 10 complete set of ten charmingly cute designs. I am not kidding when I say they are charming. They are indeed charming in real life. McDonald's customers grew up with these comic strip characters and kids of today will get the chance to play with Charlie Brown and the gang! What can these McDonald's Snoopy toys do? Charlie Brown: Push the signature zigzag design on his back to hear sound chips from the Snoopy and Charlie Brown The Peanuts Movie. Lucy: She always seems worried but just press the bow to hear sound chip from the movie. Flying Ace Snoopy: You can move along Snoopy with his classic red doghouse. Peppermint Patty: Pull her back and the sled zooms forward! Ice Cleaning Woodstock: Push along Woodstock and he spins in his driver's seat. Schroeder and Snoopy: There's a red button on the side that activates Snoopy to spin on top of the piano. Too cute! Spinning Snoopy: Snoopy spins magnetically under Woodstock's nest. This is one of my favorites! 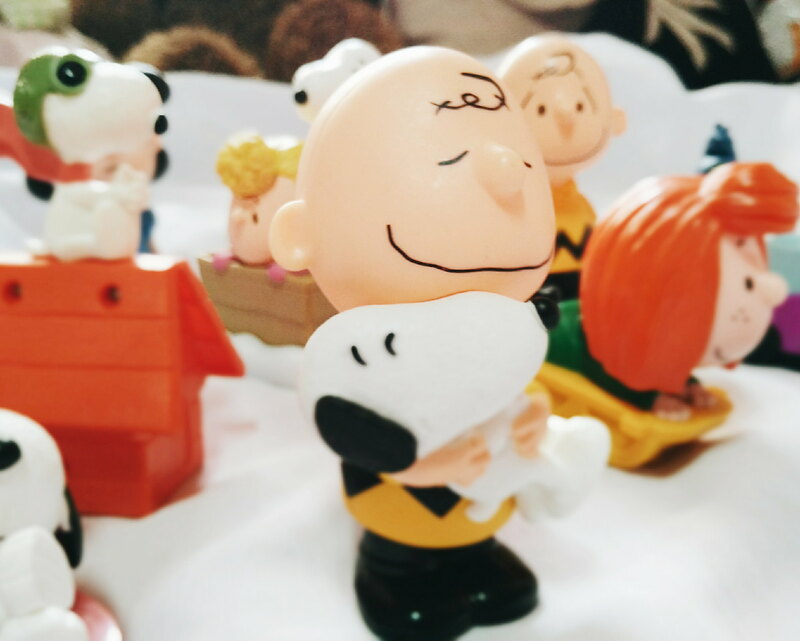 Charlie Brown and Snoopy Bobble: The cutest of them all! 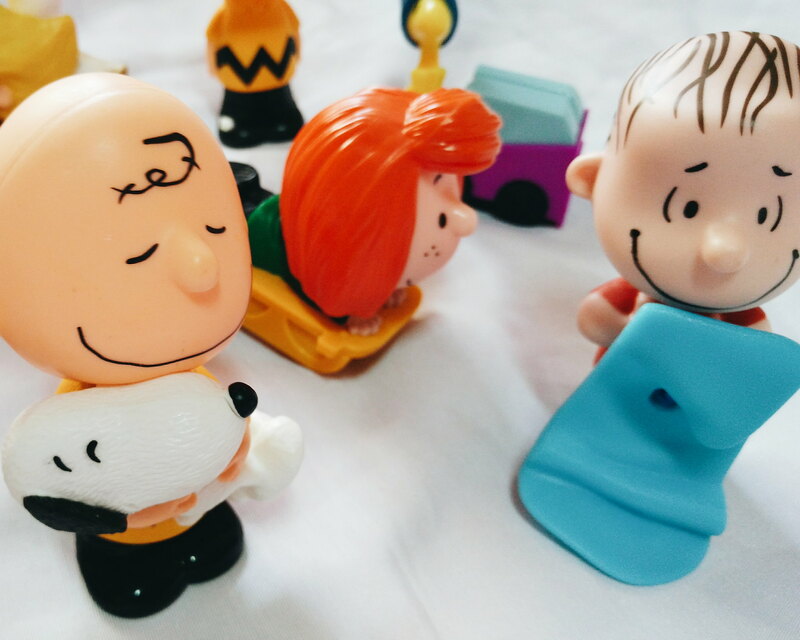 Tap Charlie Brown's head and they bobble and giggle as they hug! Linus: Pull Linus' blanket away and he shakes. Sally and Snoopy: As the sled pushes forward, Snoopy rocks from side to side!
" Friends come in all shapes and sizes." ..and colors too. Shout out to my friends from different parts of the globe! You too can get these cute Snoopy and Charlie Brown toys with every McDonald's Happy Meal starting December 18th. For more information about Snoopy and Charlie Brown Happy Meal toys, check out www.happymeal.com.ph and follow McDonald's at www.facebook.com/mcdo.ph or follow @McDo_Ph. Share your happy thoughts with hashtag #SnoopyHappyMeal.